Sign Petition to UN: Stop Using Zika to Push Abortion Young Women of Grace Has Arrived! No one knows her real name. The horrific brutality she had experienced at the hand of slave-traders caused her to forget the name she had been given by her parents. The first trader snatched her as she took a short walk from her home when she was only nine years old. Poking a knife in her side, he threatened to kill her if she made any trouble. The slave-trader shackled her to a group of three or four other little captives and led them off into the African forest. When the shackles were temporarily removed so they could eat, the children fled through the forest, only to be ensnared by a second slave-trader at whose home they had sought asylum. Bakhita, which means “fortunate,” was the name given to her by the second slave-trader. Eventually, Bakhita was purchased by an Italian consul named Calisto Legnani who treated her with dignity and respect. He took Bakhita to Italy with him and placed her in the home of friends, who were expecting a new baby. After the child was born, Bakhita stayed with them as a nursemaid. 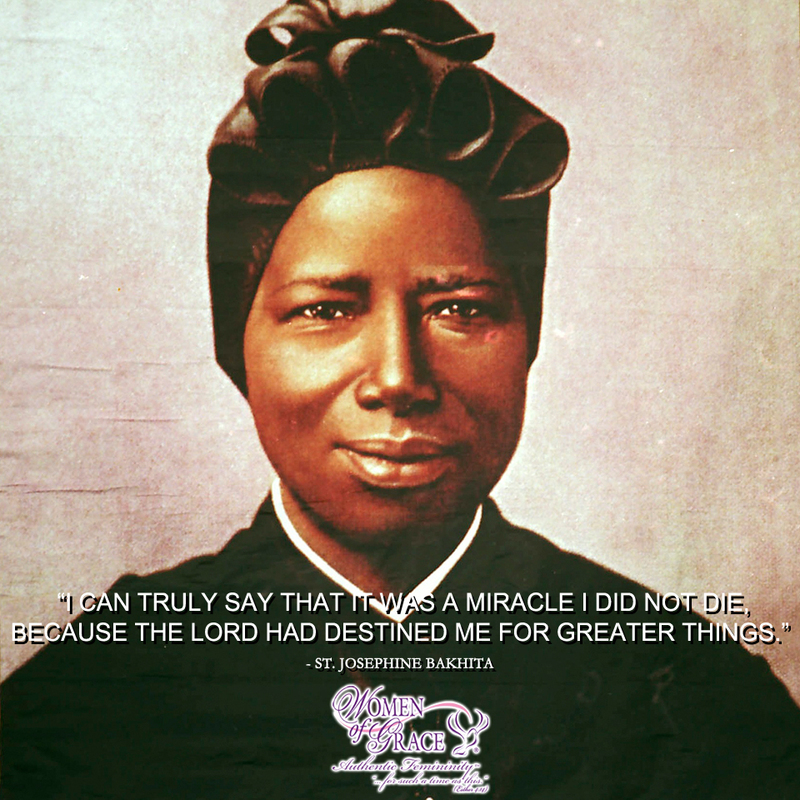 During this time Bakhita was introduced to the Catholic faith through the Canossian Sisters of Charity. She said, “I enjoyed the opportunity to be instructed in the Christian faith. 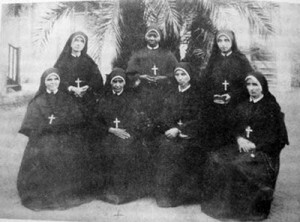 The saintly sisters helped me to know God, whom I had experienced in my heart since childhood.” Bakhita asked to stay at the convent, and she was permitted to do so. On January 9, 1890, Bakhita was baptized in the Catholic Church and experienced “such joy that only angels could describe!” She took the name Giuseppina (Josephine). Before long, Josephine discerned a vocation, and six years later she took the habit of the Canossian Sisters of Charity. She spent her days in humble service, working in the kitchen and doing embroidery and sewing. When her biography was published in 1930, Sister Josephine was asked to speak in public settings. She used these opportunities to further the cause of the missions. 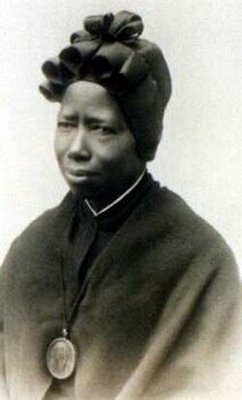 Romans 8:28 says, “We know that in everything God works for good with those who love him, who are called according to his purpose.” God worked great good out of Sister Josephine Bakhita’s suffering. What painful experience has God used in my life to work great good for me or for another? Can you thank Him for that experience? © Copyright 2005 by Simon Peter Press, Inc.